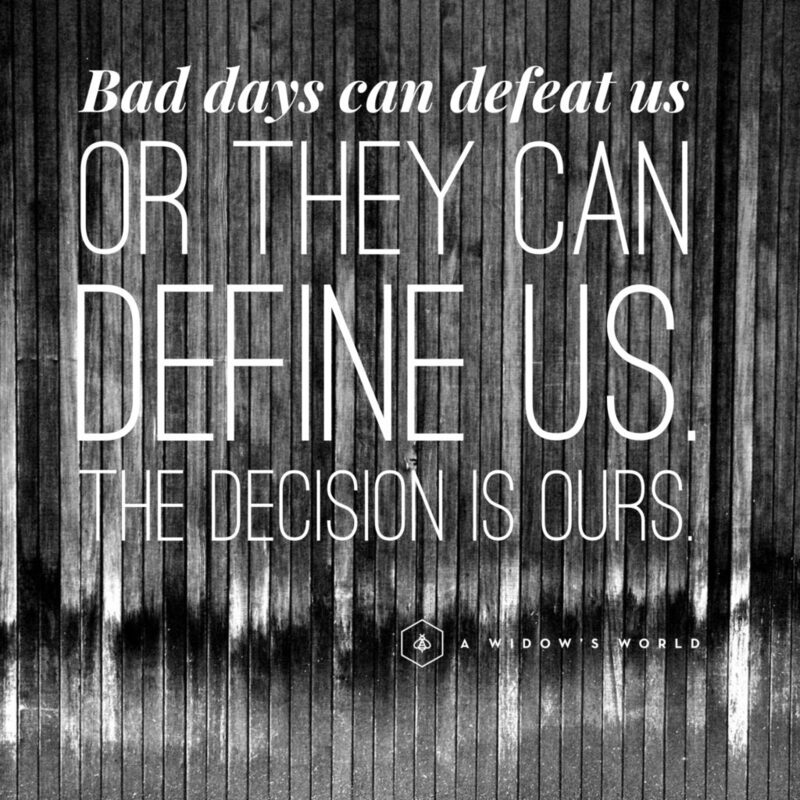 It may take years to get to the point where the bad days don’t leave us feeling defeated. Just know, one day you may be ready to open your mind to those bad days and how they may positively define you through your walk in widowhood or any bad circumstance. It’s a journey, not a marathon!